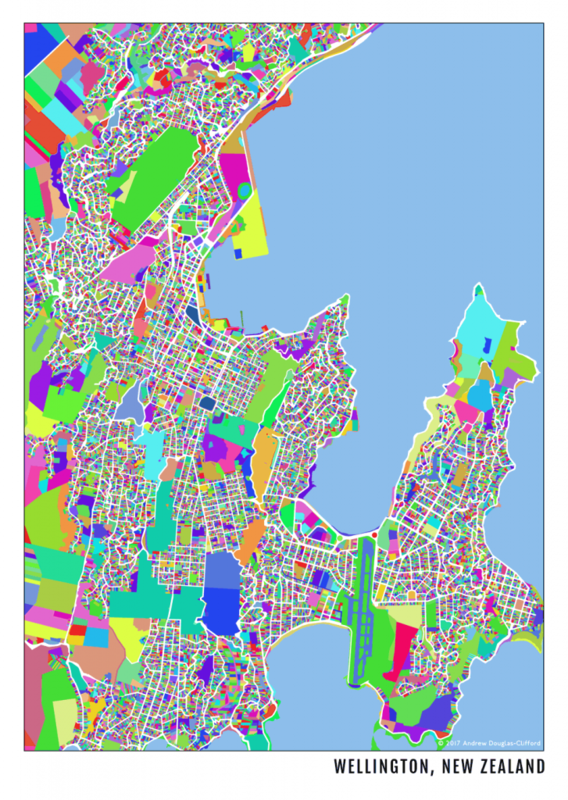 A colleague recently shared with me this map of the US counties that was surprisingly colourful and intricate. 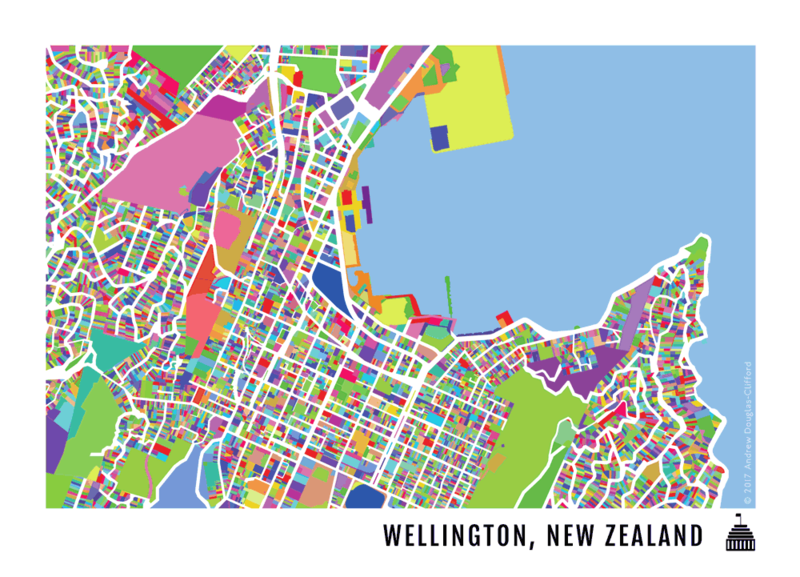 I thought I'd have a go at making a similar map for Christchurch and Wellington, this time taking property parcel boundaries from Land Information New Zealand and applying a random colour ramp to the data. 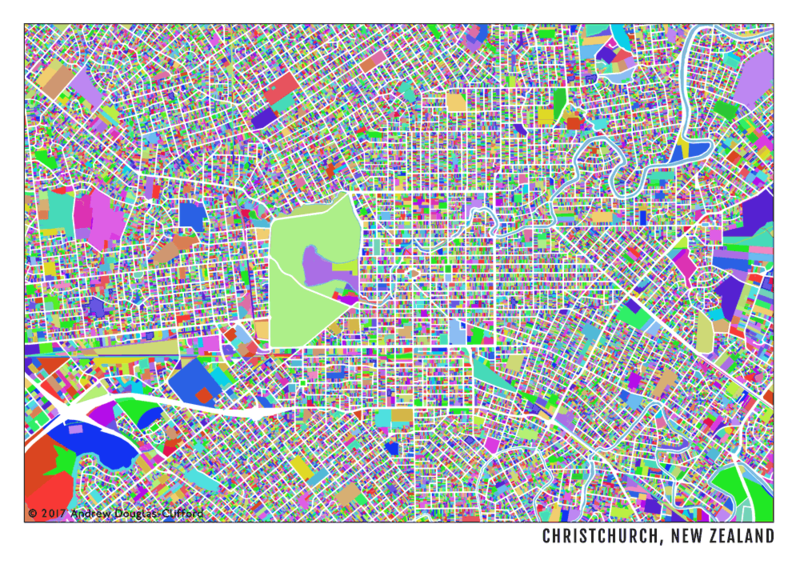 This has the effect of artistically representing every single property parcel in the area in random colours, while leaving the roads white and well contrasted. I think they looks pretty cool, and I hope you do as well! Check out the results below. 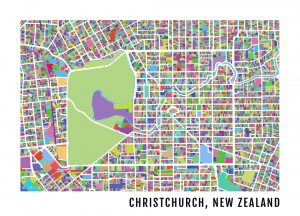 Interested in prints of these maps? 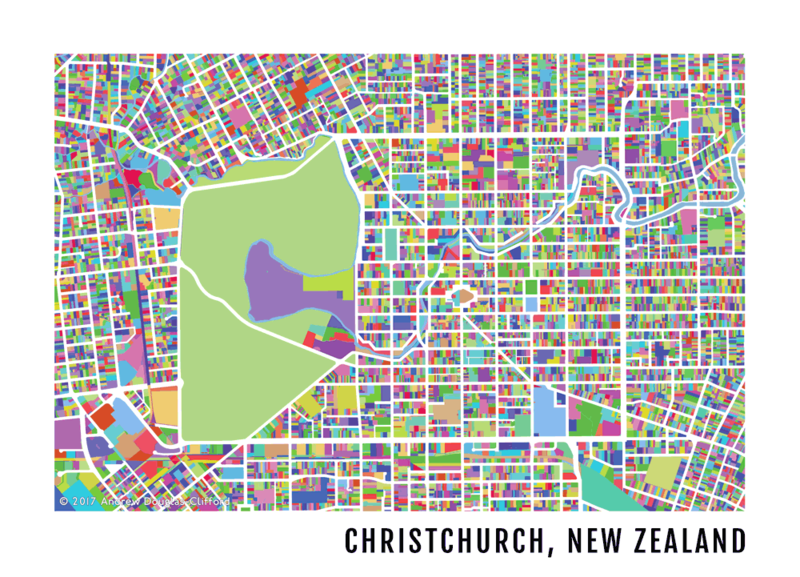 You can get the Christchurch one here, or let me know using the contact form or on The Map Kiwi Facebook page!